Many people have switched to doing freelance and contractor work instead of being employed in a certain company. Independent contractors offer services based on their expertise to companies for a particular period of time depending on the project that they are working on. 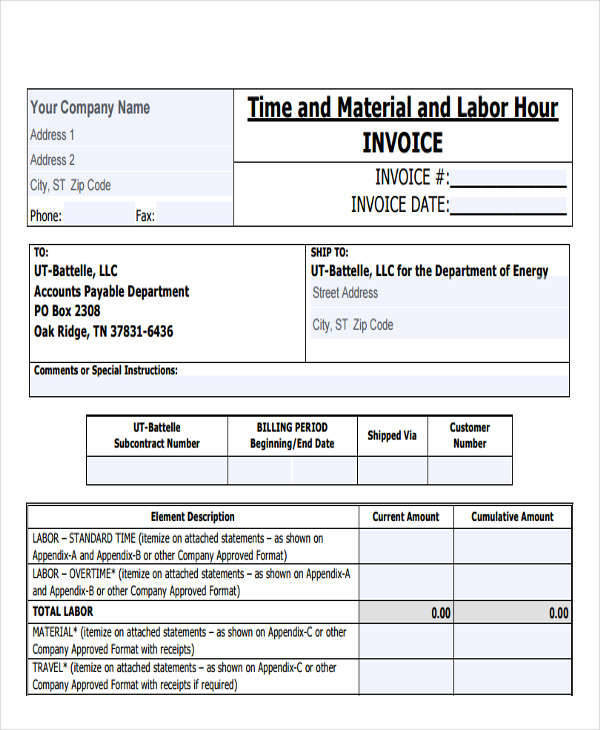 An invoice example is important for every contractor. 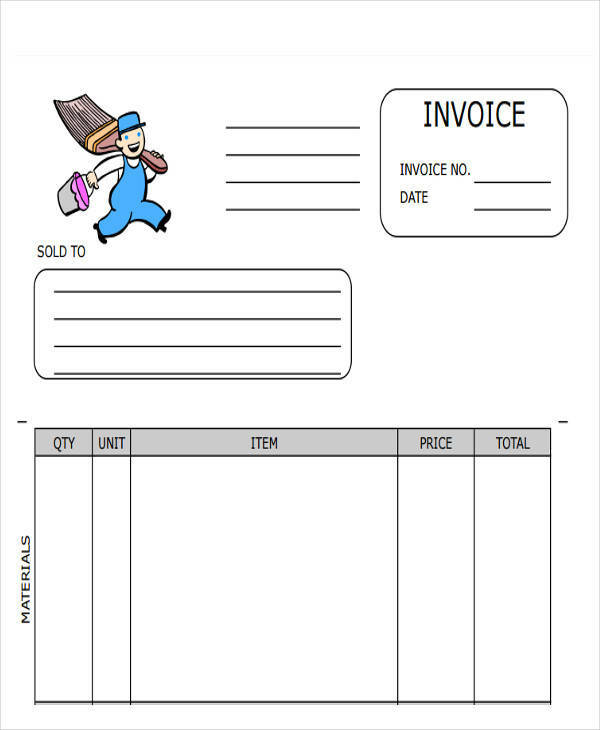 An invoice and receipt are both useful in businesses but are used for different purposes. If you want to know the difference between an invoice and a receipt, you can read about it below. 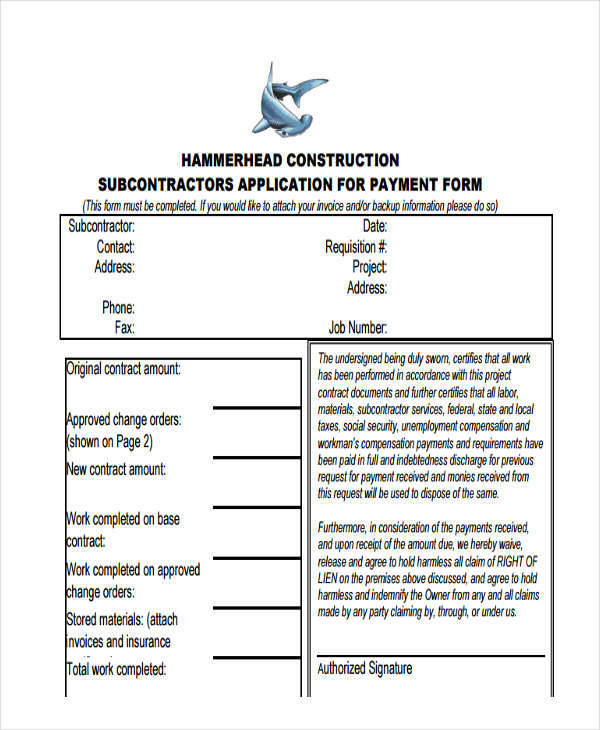 We have a selection of contractor invoices that you can download to help you when writing one. If you are working as a contractor, invoicing your clients is an essential step in order to get paid for the services that you have rendered. 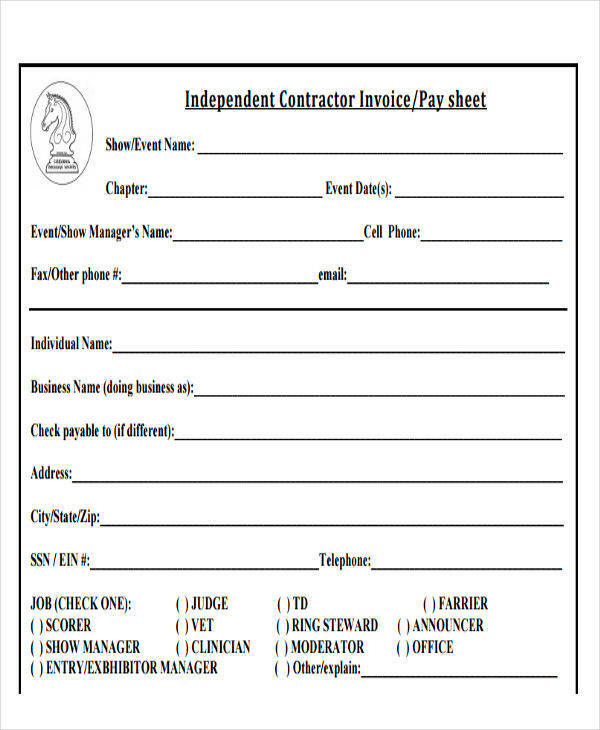 It is important to know how to write an invoice for independent contractors or small businesses. 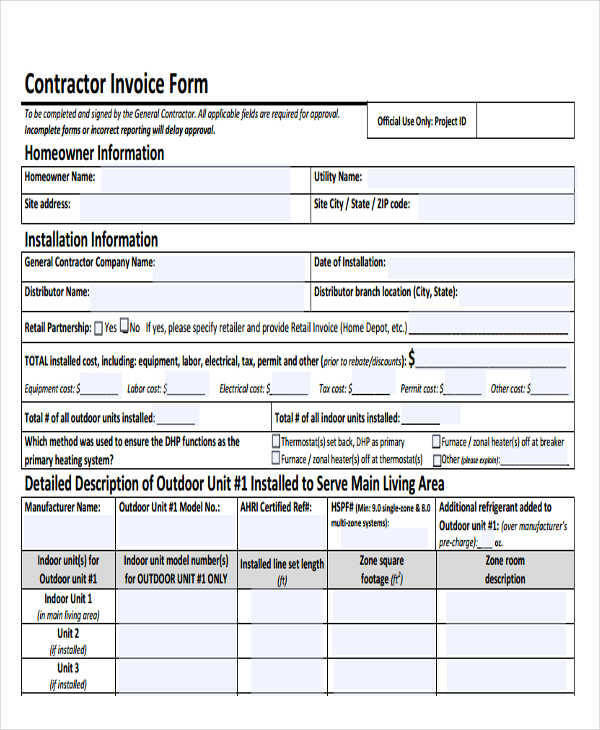 Here are the steps in creating your own contractor invoice. 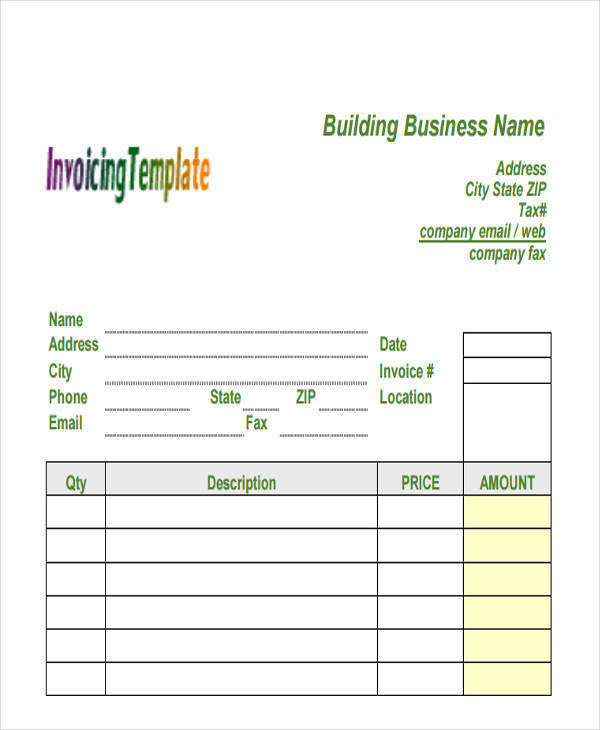 To start your invoice, write the name and include the logo of your business. If a business name is not available, you can write your name as title so your clients will know. Add your contact information, particularly your phone number, email, address, fax numbers. The next thing to add is the billing information. Write the name of the business or the name of your client. It is important to specify who you are invoicing to. Write the date and a unique sample invoice number to easily track transactions. Write the list of services that you have rendered to the client. Specify each service fee and other fees charged to the client. Include the individual amount and the total amount of the services or products. Also include the total taxes of the items and services provided. What Is the Difference between a Freelancer and a Contractor? Even though a freelancer and a contractor both work independently, both have several differences. An independent contractor is usually hired by a particular business or company to work on a project. This means that an individual contractor stays with the company for a certain period of time. Although he or she is hired by the company, they are not considered regular customers. An independent contractor doesn’t have the benefits of a regular employee. Unlike a contractor, a freelancer works with several clients to work on a project. A freelancer decides where he or she wants to work whether he stays home or in restaurants, coffee shops, etc. Like an independent contractor, a freelancer also doesn’t receive the benefits of working with a company or business. A freelancer and a contractor both work on the filing of their taxes or hire an accountant to do the job. 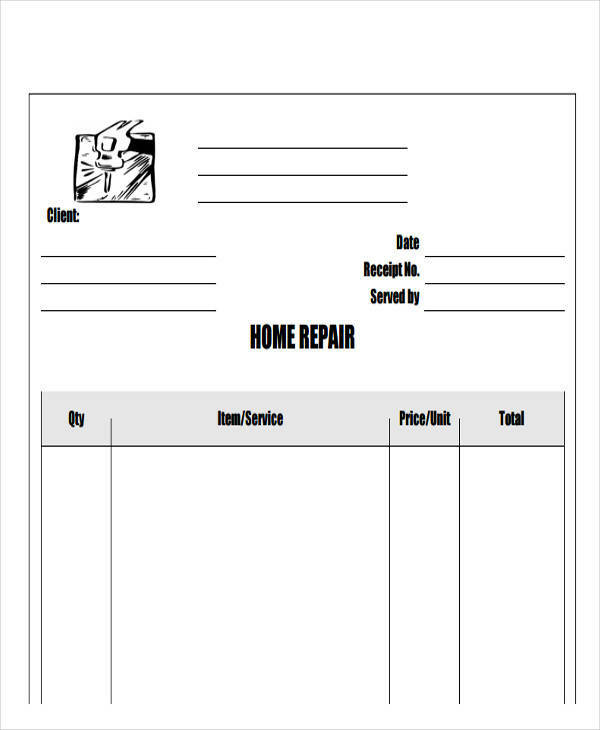 Contractor invoices are available for you to download on this page. Both an invoice and a receipt are useful in every transaction. 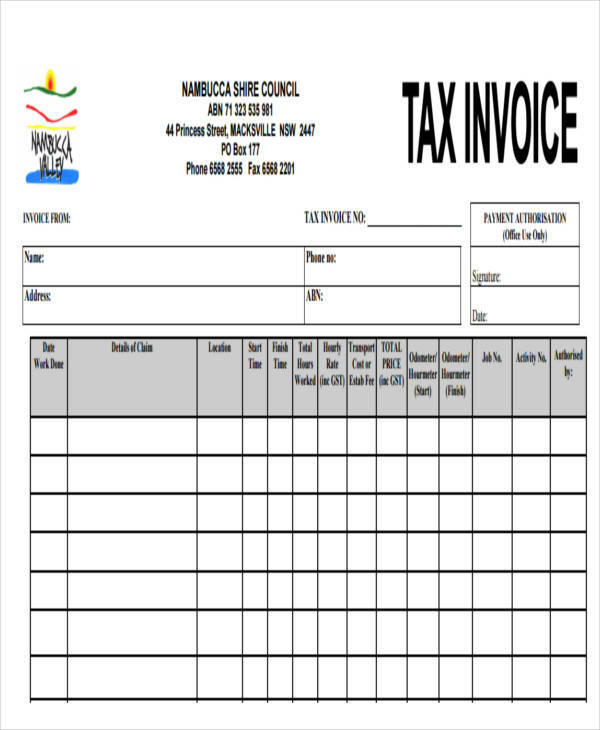 An invoice is a document used to request for payment while a receipt is provided by the business to their clients after a payment has been made. 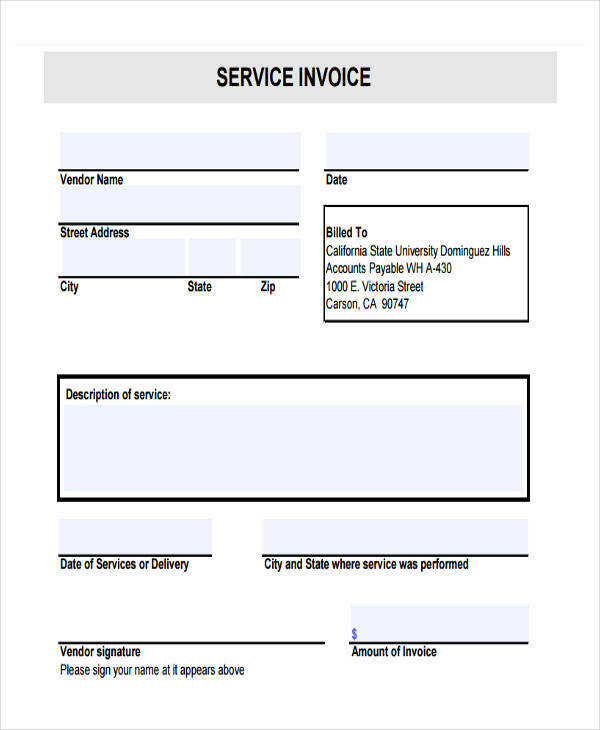 An invoice is given to a client after the product or service is delivered. This contains the payment terms indicating when a payment should be made. For example, after an item is delivered, it usually takes a few days to pay for the products depending on the terms of the company. A receipt, on the other hand, is used as proof that the client has paid for the products, goods, or services. 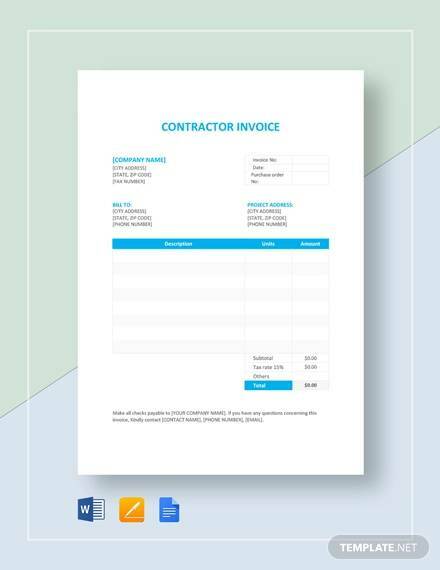 If you need a contractor invoice, a contractor invoice template is available. 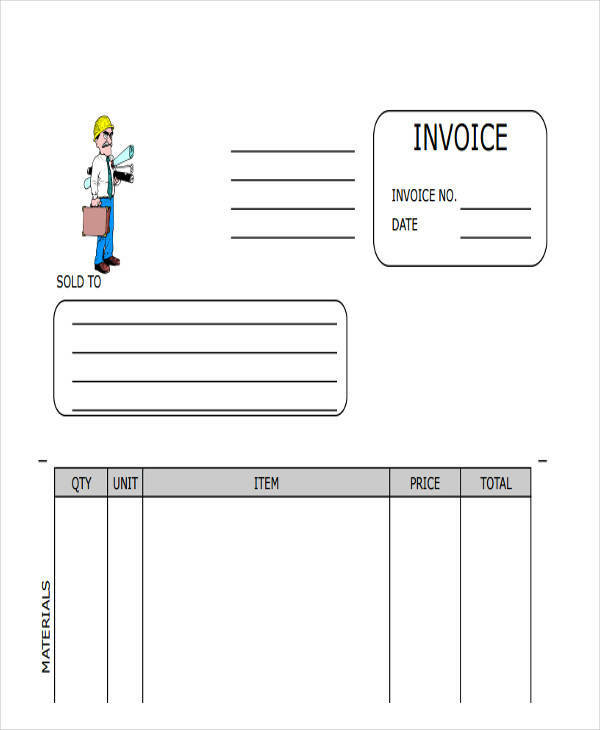 What Is a Contractor Invoice? 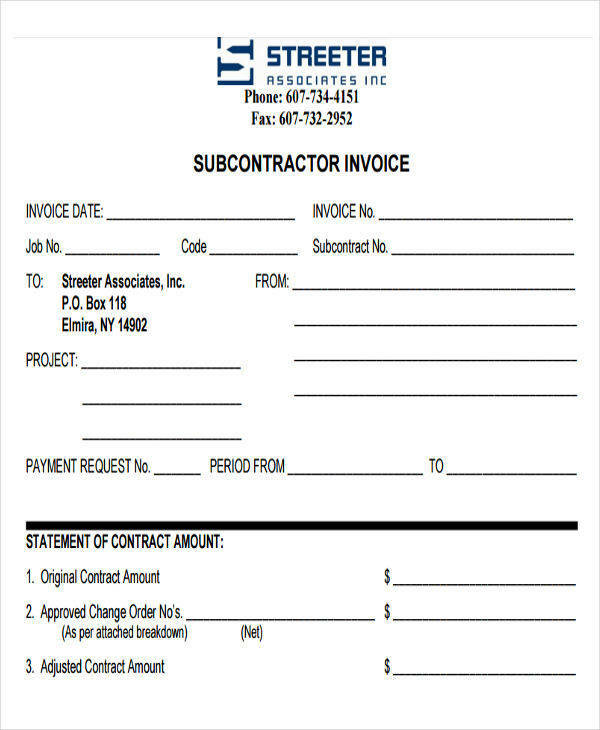 A contractor invoice is a type of invoice used by independent contractors. The main purpose of a contractor invoice is to be able to request for payment from their client for the services and the products that they have provided for the client. 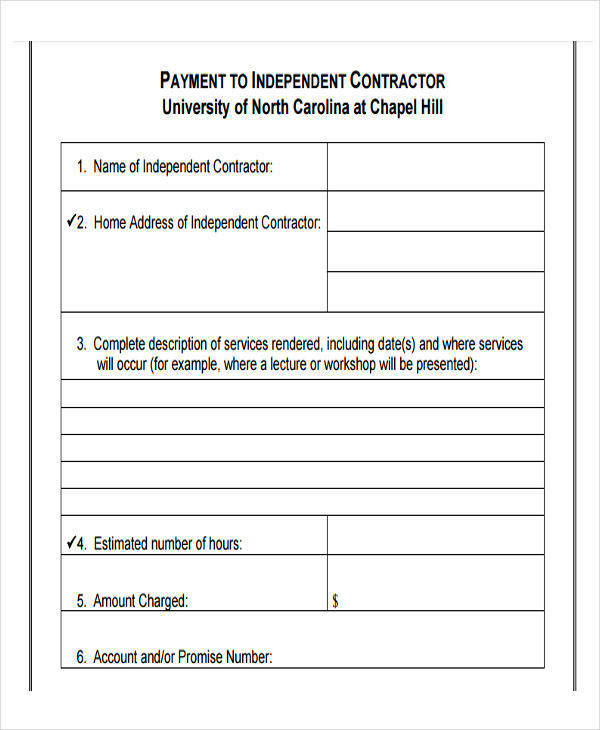 If an independent contractor wants to be paid on time, he or she should provide an invoice to remind their clients of the payment that is due. 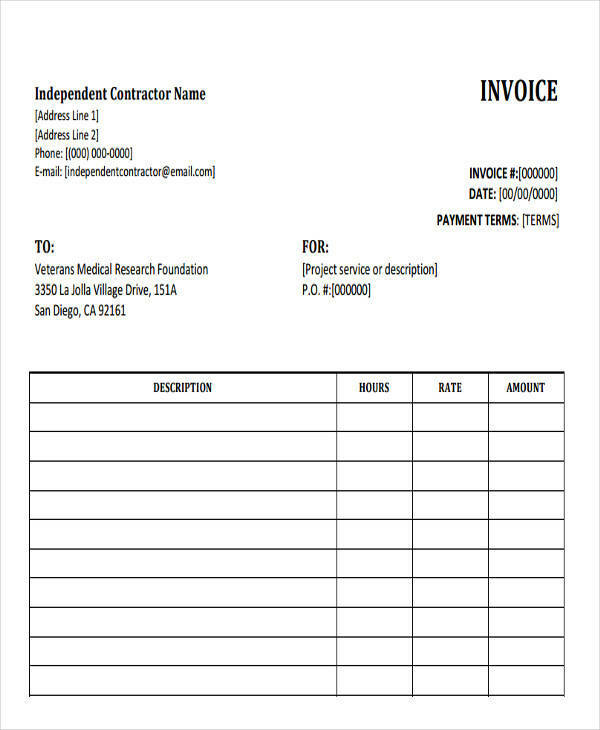 Our contractor invoices can be used as a reference. Here’s a list of the essential components of an invoice. 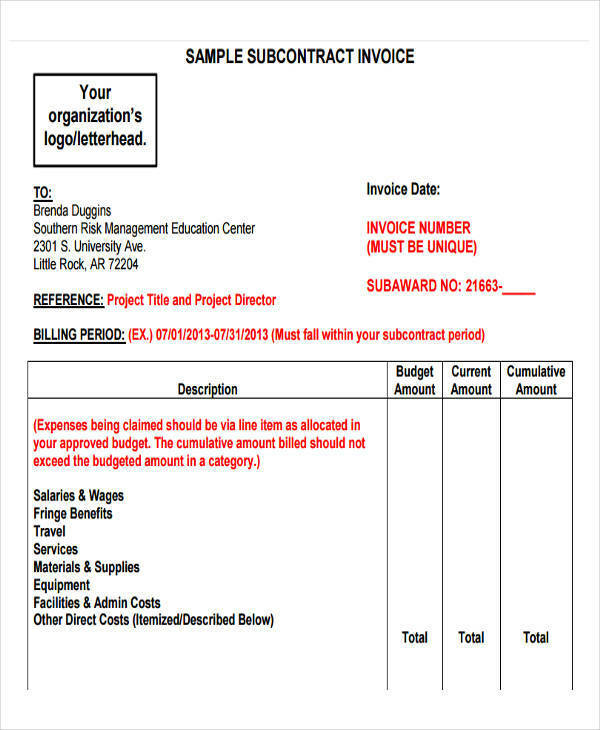 Header – a title is important in every invoice to indicate the type of document. 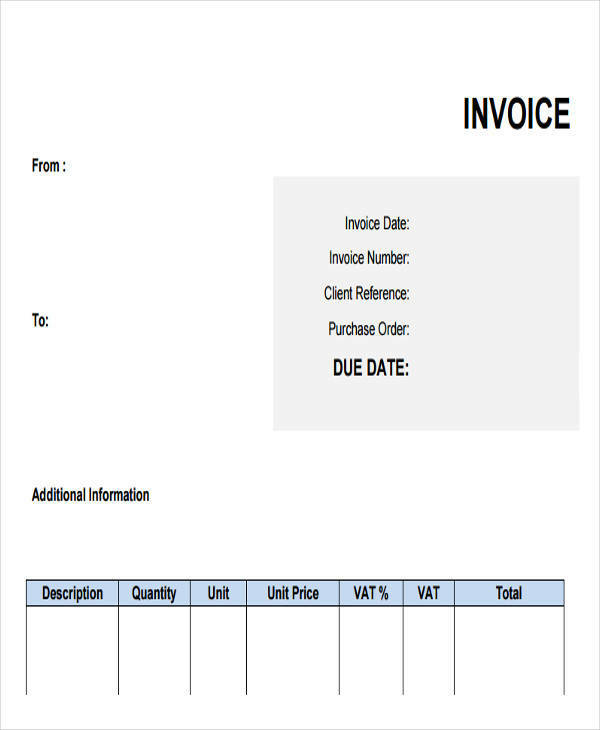 Business Information – an invoice should include certain information of your business. These information include the name, address, contact information, email, and the logo of your business. Date – one necessary element is the date. The date will determine when the invoice was made, which is important if a certain invoice arrives late. 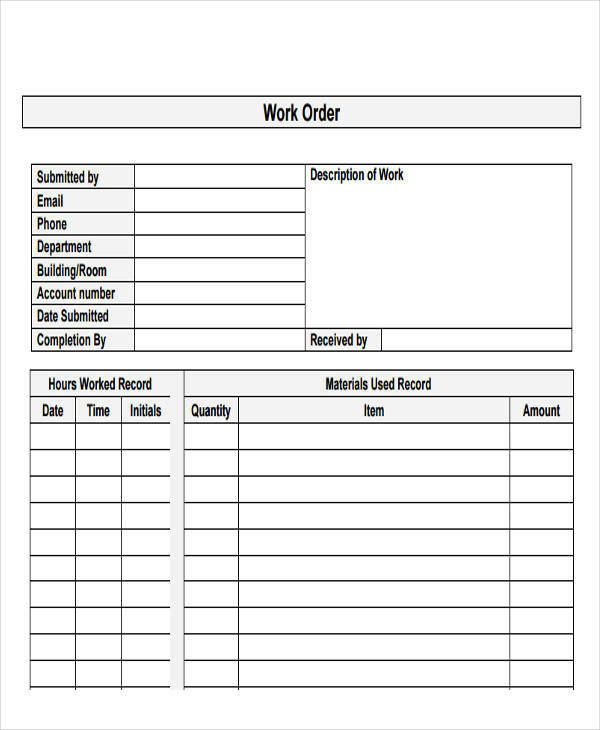 Invoice Number – an invoice number makes it easier to track your records since each invoice is assigned a unique invoice number. List of Services – this is a list of the services and the products that you have provided to your clients. Terms – the terms include the payment due date and the payment methods. 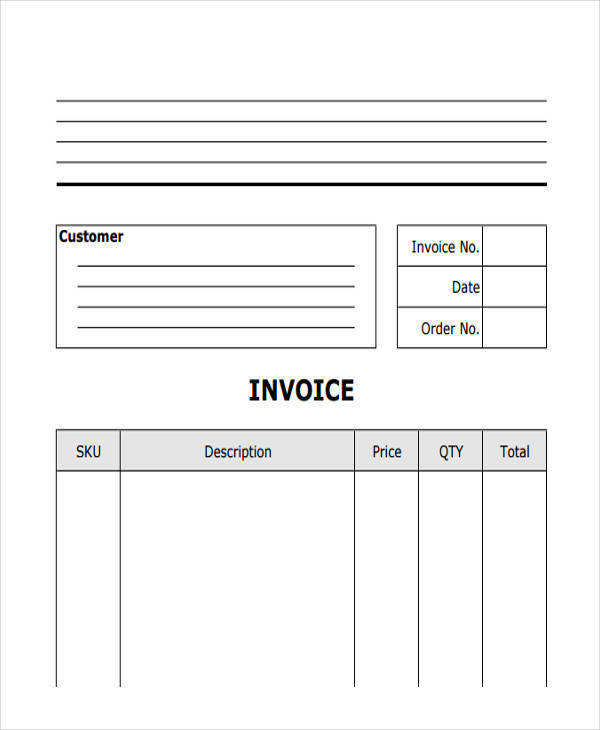 Pro Forma Invoice – a pro forma invoice is used to indicate the prices of the products and goods provided by the seller to the buyer. A pro forma invoice is useful in foreign trade and is especially important in customs to declare a value of a shipment. Credit Memo – a credit memo is a type of invoice used when a buyer returns goods to the seller. A credit memo is issued to the buyer, which contains the credit from the returned goods. The buyer can have it refunded or he or she can use the credit memo to buy another product with the same or lower value. 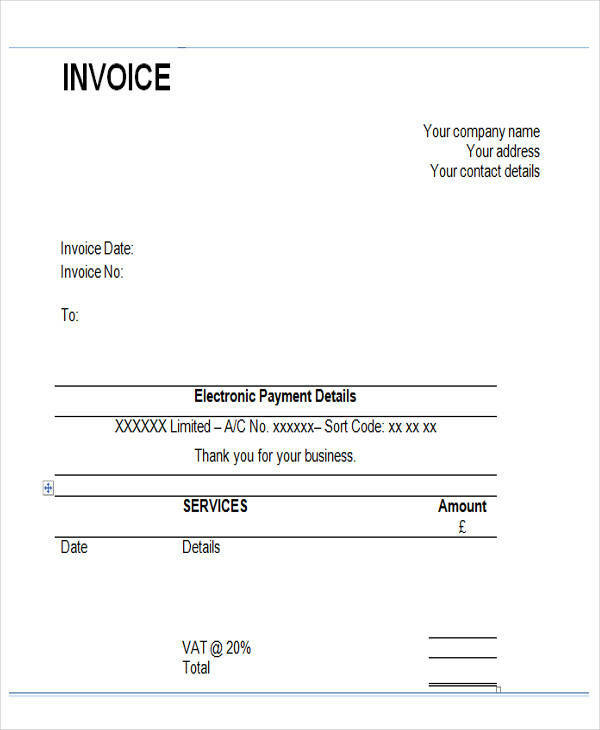 Commercial invoice – a commercial invoice is usually used in international trade. This invoice contains information of the seller and the buyer, the country of manufacture, the list of goods and products, and their value. Debit Memo – A debit memo is a type of invoice that is used when a buyer returns damaged goods to the seller. 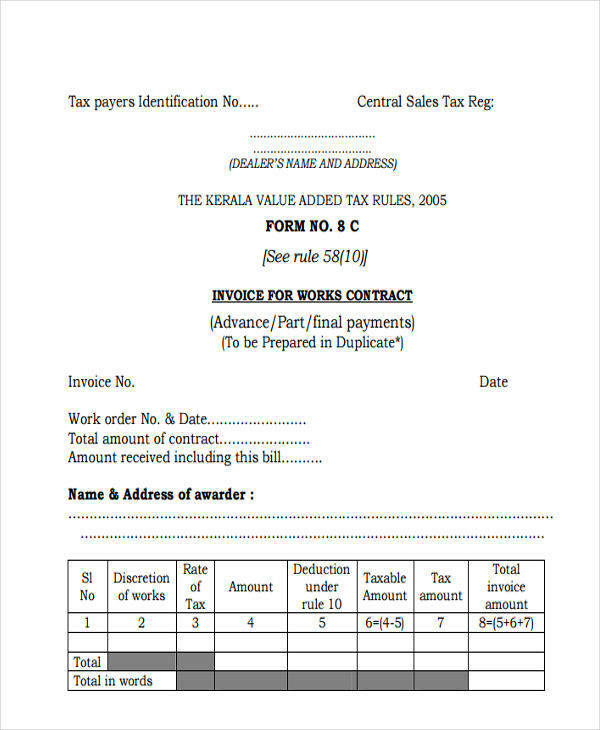 If a seller fails to pay for the goods, a debit memo is provided.